We look forward to meeting the new family member. That should be slightly less than 5 months from now. Blessings on this little one and your whole family. What joy. We’re so much looking forward to being one more in the family. A new camera? Well, new and new. I started working with ultrasonic imaging early in 1975, just a few months before I got my first SLR camera. 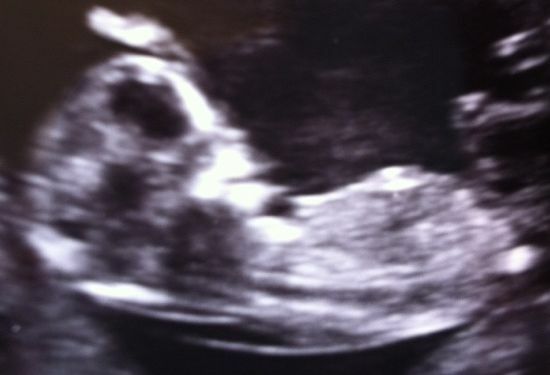 We have an image from the ultrasonic scanning of our first child. He was born in ’75. Livet er fyldt af modsÃ¦tninger, som nÃ¸dig viger pladsen for hinanden. Vemodet i at skulle sige farvel til Ã©n, samtidig med forventningens glÃ¦de til den nÃ¦ste generations komme. Men sÃ¥dan mÃ¥ livets hjul altsÃ¥ rotere. …All you need is love! So touching 🙂 Thank you and fÃ©licitations Ã la famille Carsten. Wonderful piece of news ! Thank you so much Ginger, Isa and Tracy. We are looking forward to welcoming this little child. The wheel of life has unfortunately only place for a limited number of generations. My mother-in-law was the last of the previous generation. Now I’m the oldest in the family. -Strange feeling!